A native of the Philippines, Dr. Matias began learning martial arts at a very early age, and is a first generation student of Grandmaster Remy Presas, founder of Modern Arnis. Dr. Matias dedicated his life to the teaching of martial arts to both young and old alike, and shared his philosophy of success and well-being through the teaching of self-control, self defense and the iindomitability of the human spirit. 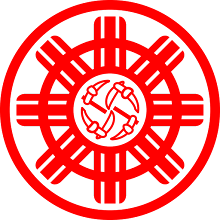 We the students of Arnis Karate, thank you for all the unselfishness and dedication you have shown us throughout the years, not only as our instructor and mentor, but as our friend. 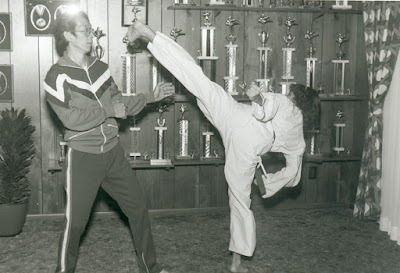 1951 Dr. Matias began training in Judo under Grandmaster Pedro Fernandez at the National Bureau of Investigation Club. Moo Sul Kwan Academy of Martial Arts under Grandmaster Lee S. Park. Arnis under Grandmaster Remy A. Presas. 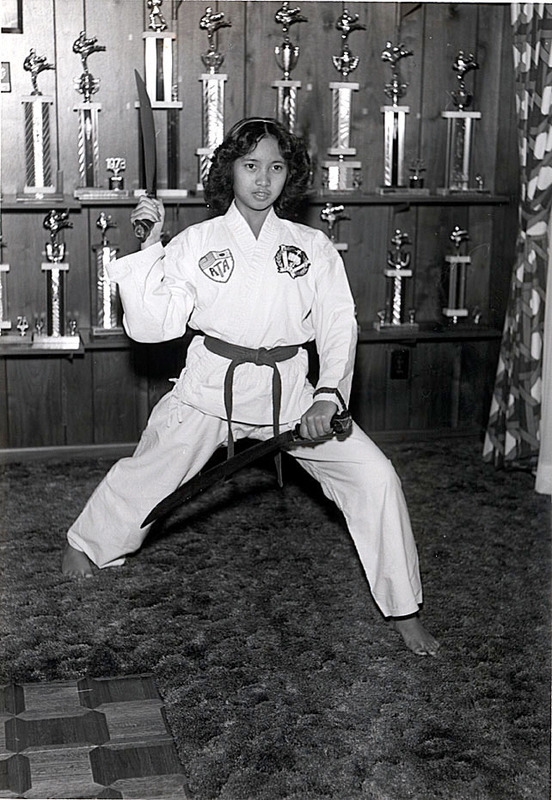 1956 Represented the Philippines at the Asian Martial Arts competition in Japan. 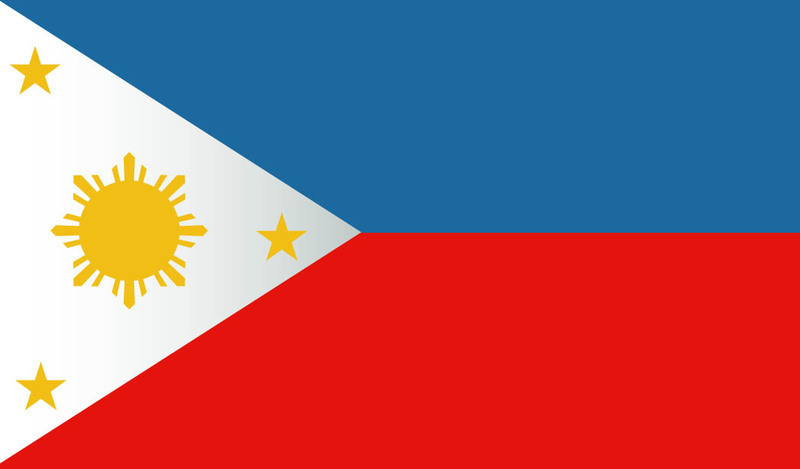 1957 Represented the Philippines once again at the Asian Martial Arts competition in Japan. 1964 Left the Philippines in 1964 to continue his Dental Degree specialty. 1965 During his internship at the Guggenheim Dental Clinic, Dr. Matias opened his first school in the United States in New York City. 1973 Moved to Illinois to practice Dentistry. 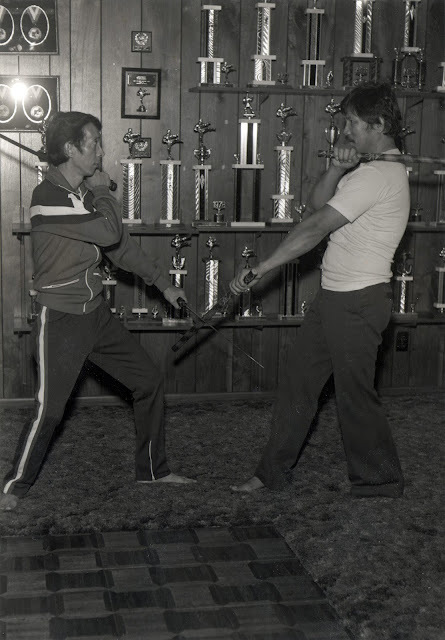 1974 Opened Illinois Modern Arnis school. Continually trained students for 13 years. 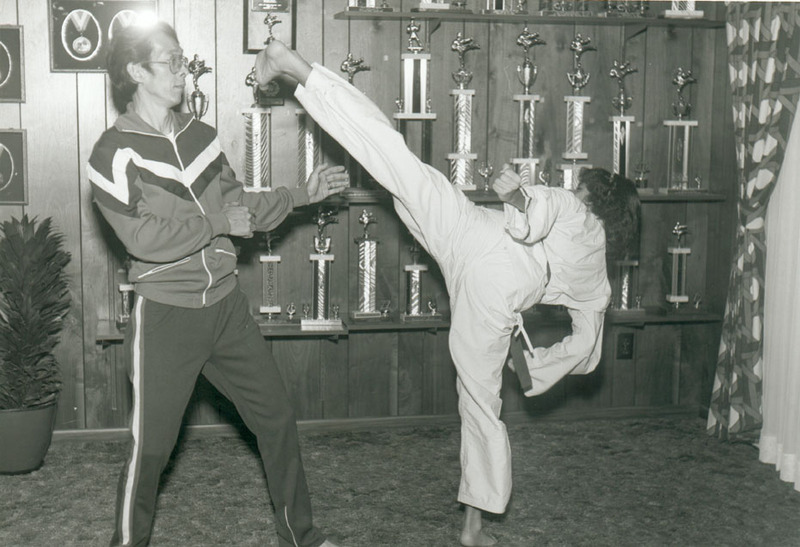 1987 Moved to Clearwater, Florida, but decided not to open another karate school. 1993 When Grandmaster Remy Presas visited Dr. Matias he encouraged him to open the Arnis Karate School, which he ran until 2005. For His Radio Show On The Edge. 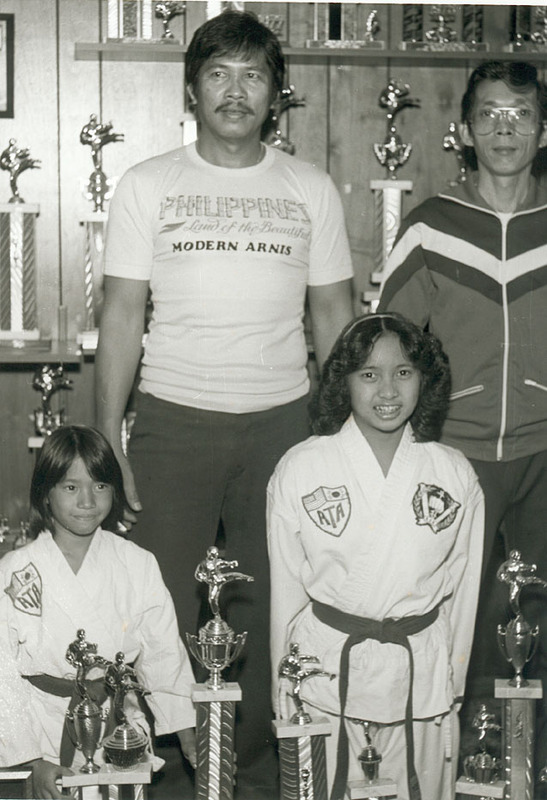 Grandmaster Presas And Dr. Wilfredo C. Matias With Daughters. "Swinging a stick is not just swinging a stick," at least not to Clearwater resident Dr. Wilfredo C. Matias. 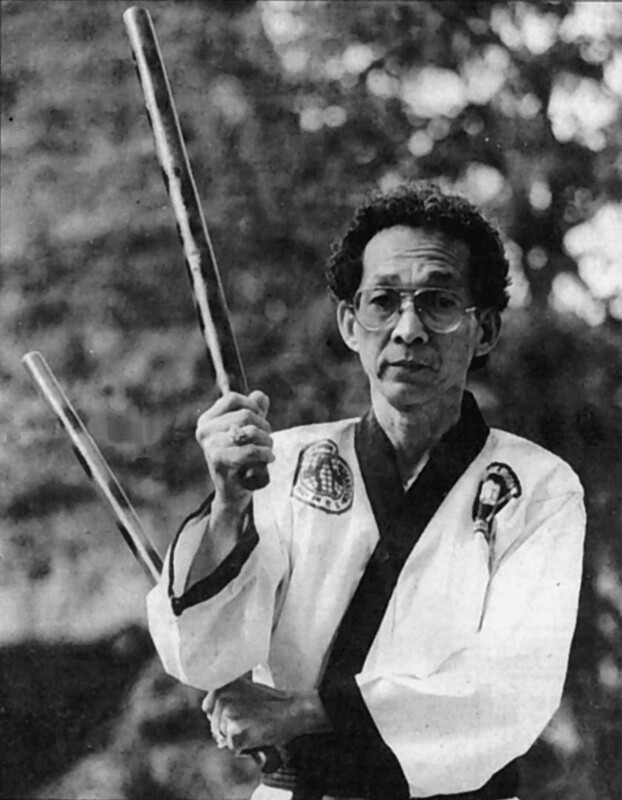 A practitioner and teacher of Arnis. This martial art originated in the Philippines and Filipinos have used their skills with knives and sticks for centuries to defend themselves. Explorer Ferdinand Magellan was reportedly killed by chieftain Lapo Lapo of Mactan, an expert in a forerunner of Arnis known as Kali. The 52 year old Matias was born in the Philippines and studied under noted Arnis figure Remy Presas in New York and Illinois. He has also studied Tae Kwon Do and Hapkido. But "Arnis is my favorite art. A lot of arts get tougher to do as you get older, but with Arnis, as long as you can move your hands, even if you are 70 years old, you can defend yourself." This quote appeared under a photograph of Dr. Matias in the St. Petersburg Times sports section on Sunday, February 2, 1992. When the paper came out, he received phone calls asking for instruction from several deputies with the Pinellas County Sheriff's Department and not long after, they were added to the training sessions held in his backyard. Dr. Matias had moved to Florida in 1987, but decided against opening another school. A few years later his wife's employers, learning that he had taught martial art's, asked if he would train their two grandchildren. After their training began the newspaper printed his photo, and the backyard got very crowded. 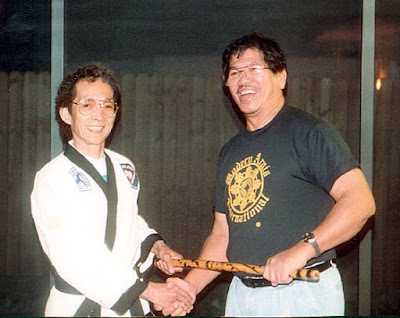 In 1993, Dr. Matias opened the Arnis Karate School in Largo, Florida after these students convinced him that he should make his teachings available to the public. It was later that year that I showed up looking for a school to continue my Tae Kwon Do training. 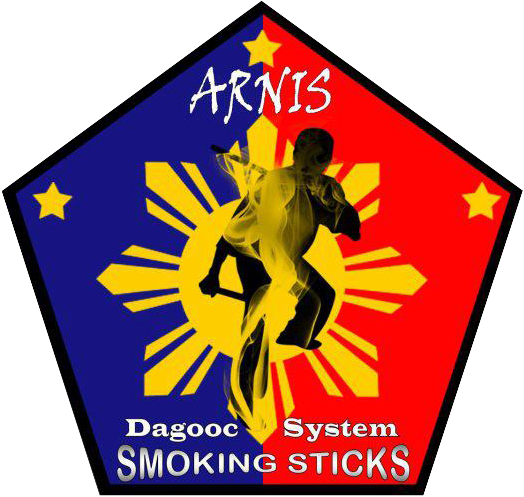 Like many other people, I had never heard of Arnis. From the beginning I told Dr. Matias about a shortcoming I had, but he just brushed it off and said, "We'll correct that," like it would be so easy. Once the training began he showed me little things that did correct my problem, like footwork, using the ground, twisting the hips. Many of the things he taught were simple and effortless, but it was something that I could not correct on my own, nor could the instructors from my old school. Yet it was so easy for him. So many people went through that school. Young children (7 years and up), young men and women who were fantastic athletes, people past their prime who had not exercised in years, even people in wheelchairs. He took them all. The only time he would not take on a student was if they had no focus, or showed no responsibility. He would not allow anyone to abuse his techniques. Even by Philippine standards he was very small, and when the school opened he weighed under one hundred pounds. Because of his small size he had no margin for error when dealing with a larger opponent. Everyone was amazed at what they believed were his strength and power, but in truth he was only using pure technique. For thirteen fantastic years he taught classes Monday through Saturday without fail. There were some periods when he taught four hours a night, but you could always count on at least an hour and a half of his instruction every day no matter what the circumstances. You would think that at one point you would learn everything he had to teach, and just spend your time fine tuning those techniques. We did that, but he constantly taught new things, and new ways to apply them. Everything fit together, and there were many ways to use each one. The learning never stopped, it was like every day was your first day. 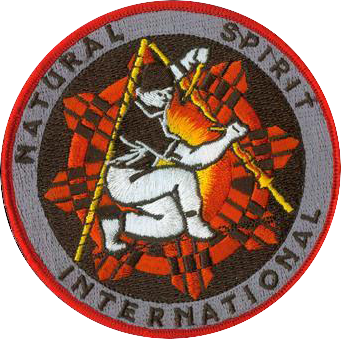 Arnis Karate was never the most organized school, and many students got aggravated because so many techniques were being thrown at them, they would feel lost. But if you stuck with it there would always be some point where you would just react using the techniques you felt most comfortable with. Dr. Matias wanted you to develop a fluid natural reaction, instead of by the numbers. He had one student that stays in my mind all the time. He was in his sixties, suffered from polio since he was a child, and was wheelchair bound. He only had four working muscles. One night during testing, Dr. Matias told me to kick this student in the head. I carefully threw a kick with as much control as I could, and Dr. Matias was in my face chewing me out for not showing my opponent any respect. "Do you think he doesn't know what to do?! Do you think I don't know how to teach?! When I say kick him in the head, I want you to knock it off! If he misses it's his fault! Now Do it!" After that I threw my best kick to his head, he leaned back, parried my heel with his left hand, grabbed my ankle with his right and pulled it into the armrest of his wheelchair. Once I was on the ground he struck me, and everyone started cheering. He only had four working muscles. Dr. Matias never looked at anyone's limitations. He only saw their possibilities. When we lost him, someone said that he had lived 67 years too short. That made me realize, that in this world the only thing we really have is time. What makes each one of us different is how we use this time we have been given. When I look at all of his friends, when I look at his students, when I look at my family, and when I look in my heart, I see how Dr. Matias used his time. I thank him for teaching my daughter, and I thank him for teaching me. Seminar, House Of Champions, Van Nuys, California.